"The Wooster Group is an ensemble of artists who, under the direction of Elizabeth LeCompte, make work for theater, dance and media. For more than thirty years, The Wooster Group has cultivated new forms and techniques of theatrical expression reflective of and responsive to our evolving culture, while sustaining a consistent ensemble and maintaining a flexible repertory. Wooster Group theatre pieces are constructed as assemblages of juxtaposed elements: radical staging of both modern and classic texts, found materials, films and videos, dance and movement, multi–track scoring, and an architectonic approach to theatre design. 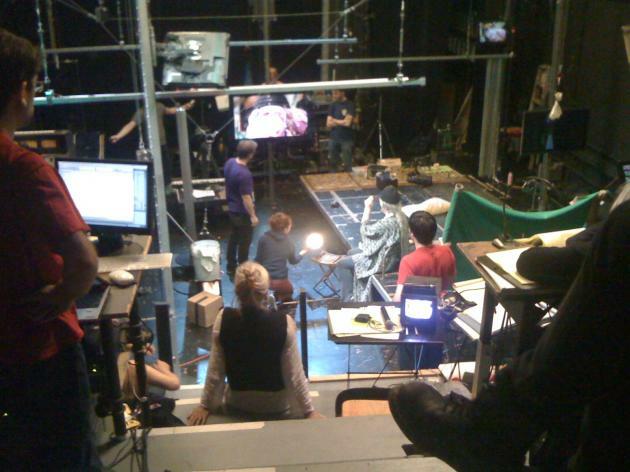 The Wooster Group has played a pivotal role in bringing technologically sophisticated and evocative uses of sound, film and video into the realm of contemporary theatre, and in the process has influenced a generation of theatre artists nationally and internationally. The Group's work is unique because it attracts not only the theatre–going community but also artists and enthusiasts of many other cultural disciplines, such as dance, painting, music, video & film."